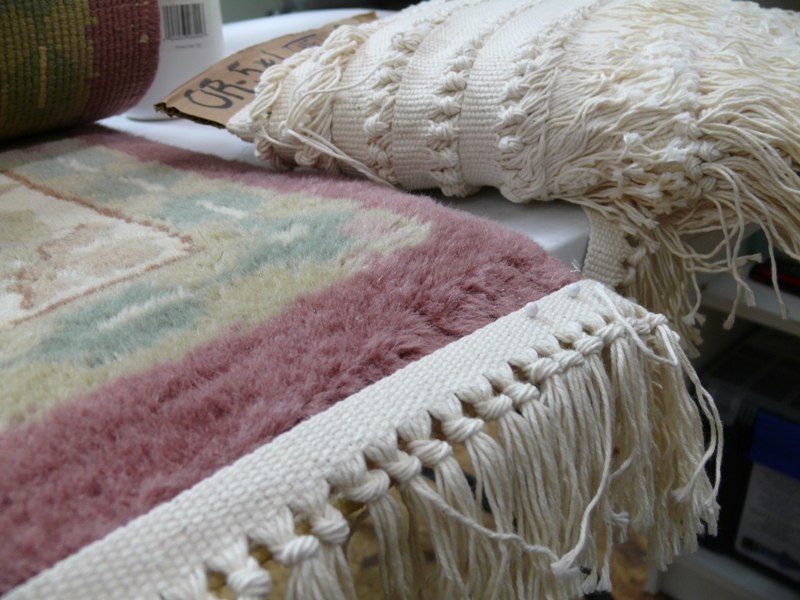 While your fine rug is an accent to your home decor, it may sometimes become damaged or worn. 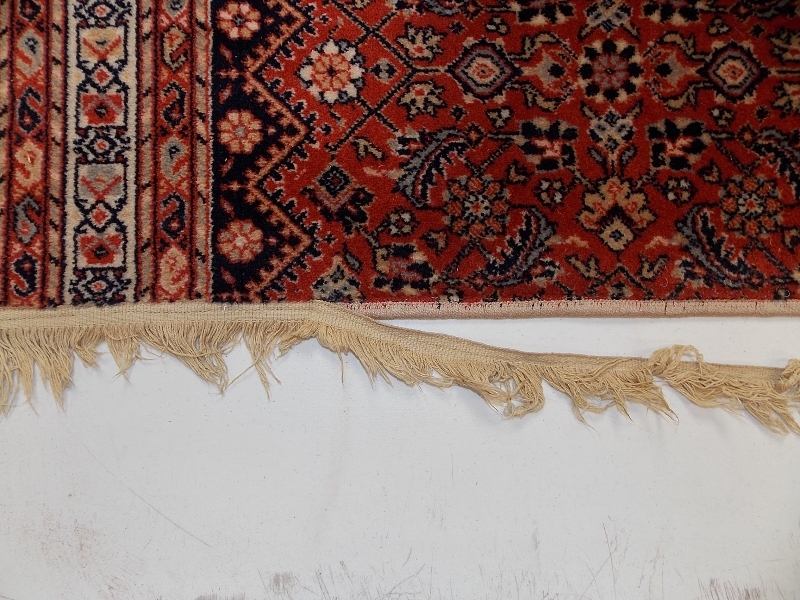 Mark Gonsenhauser’s offers a full range of professional area rug repair and restoration services for all types of area rugs, including fine silk Oriental and Persian rugs. 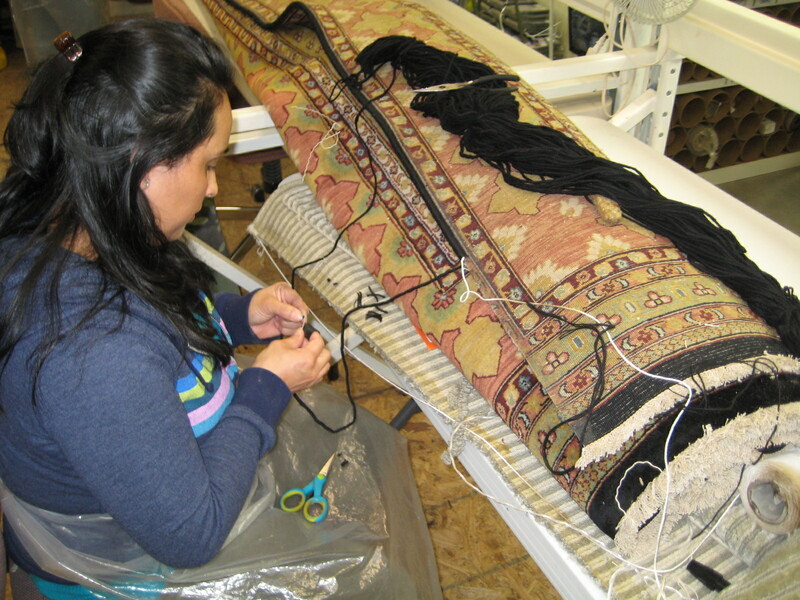 We expertly repair and restore by hand rugs of wool, silk, hand knotted rugs, machine-made and hand tufted rugs. 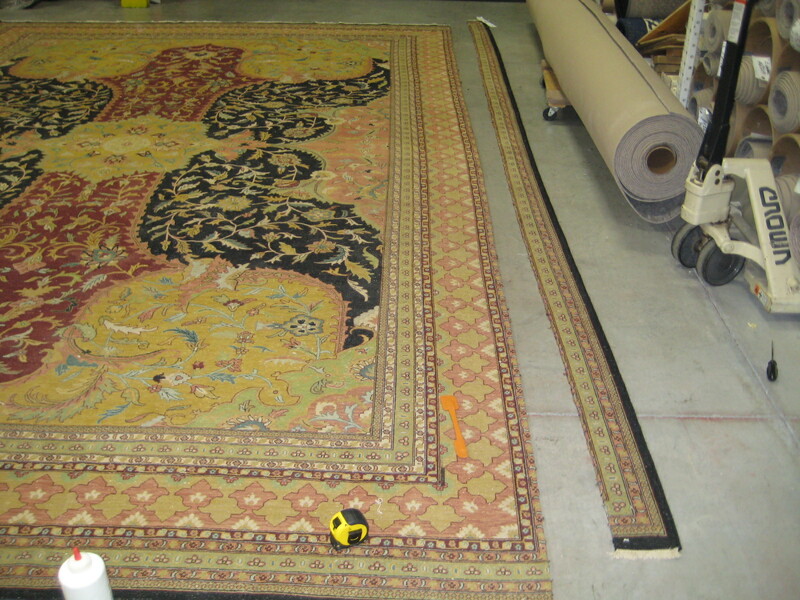 We also specialize in restoration and conservation of antique rugs. 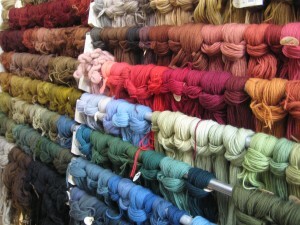 Our expansive Repair Department carries a huge inventory of wool yarn for color matching. 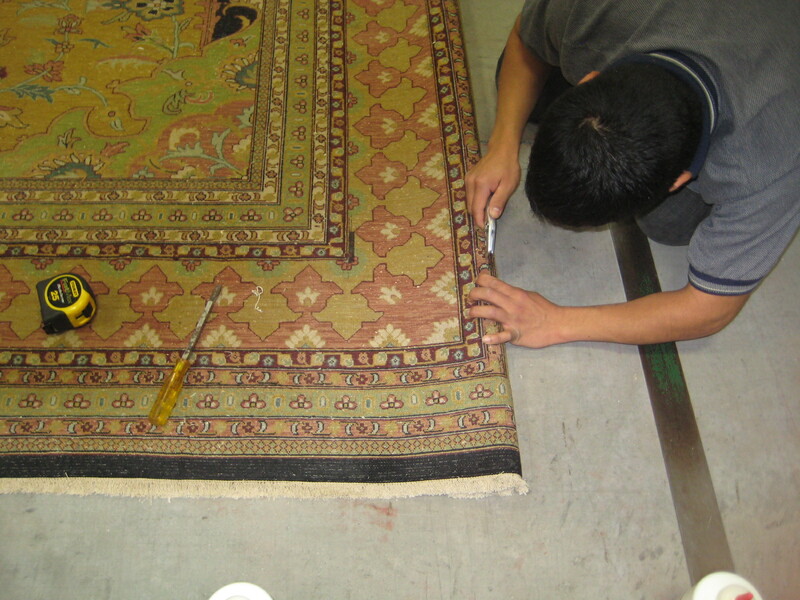 Our repair artisans have received many years of training in order to become proficient and skilled in their craft. 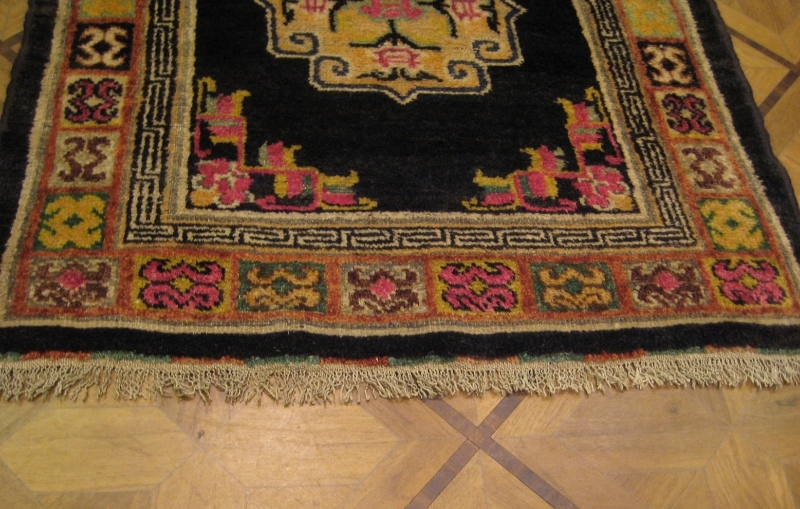 All work is performed on the premises (unless otherwise specified) and all rugs are fully insured while being repaired. We offer competitive rates and all work is guaranteed. 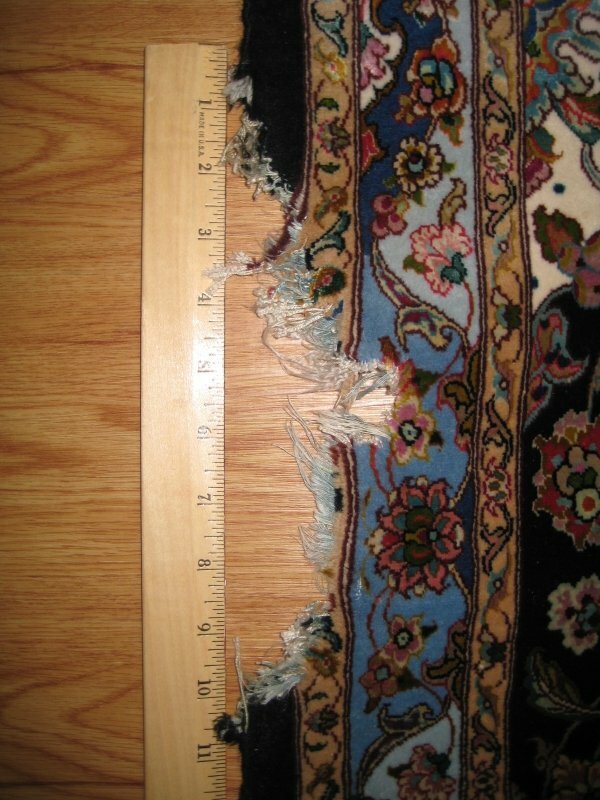 For a personalized assessment and estimate of Oriental rug repair and restoration, please bring it into our Virginia Beach showroom for a free evaluation, or you can schedule a pick-up by calling 757-333-1010. 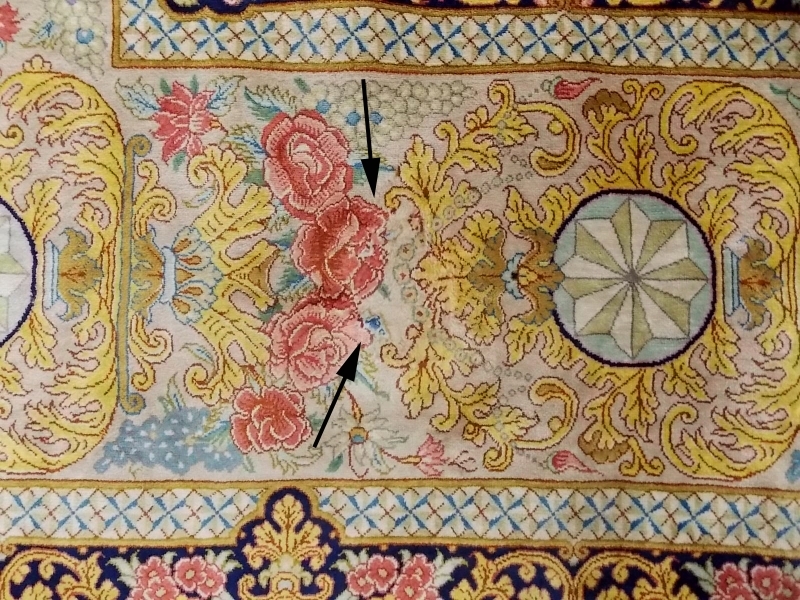 Watch our Rug Repair Video to learn more about our area rug repair techniques. 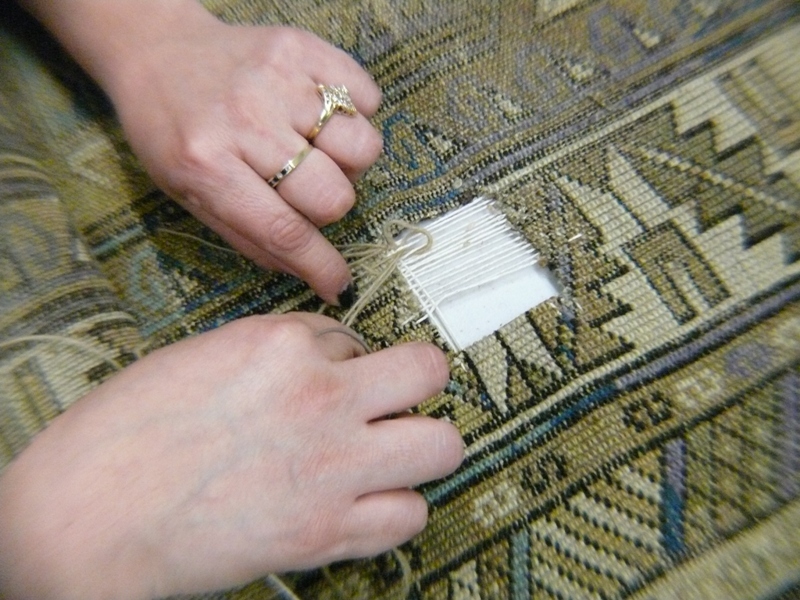 Fringe removal by two methods: Permanently removed and over sewn so that the rug does not fray; or, folded under and secured which can eventually be restored to the original state at any time. 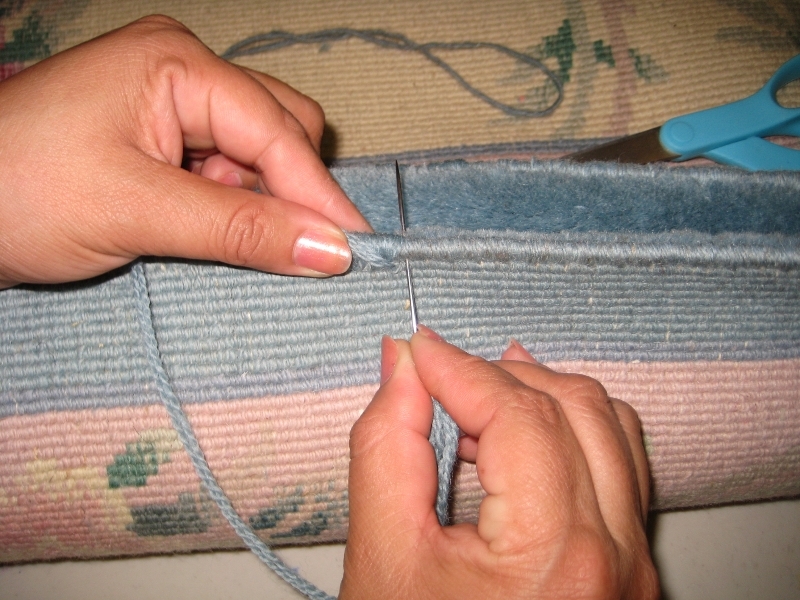 Hand over-sew fringes to prevent unraveling. 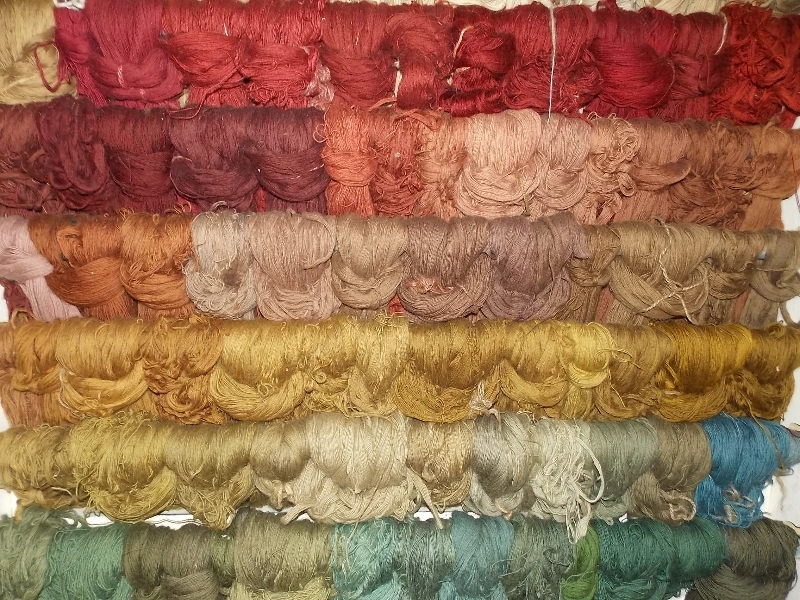 Hand paint worn areas on your rug to match the existing wool pile. 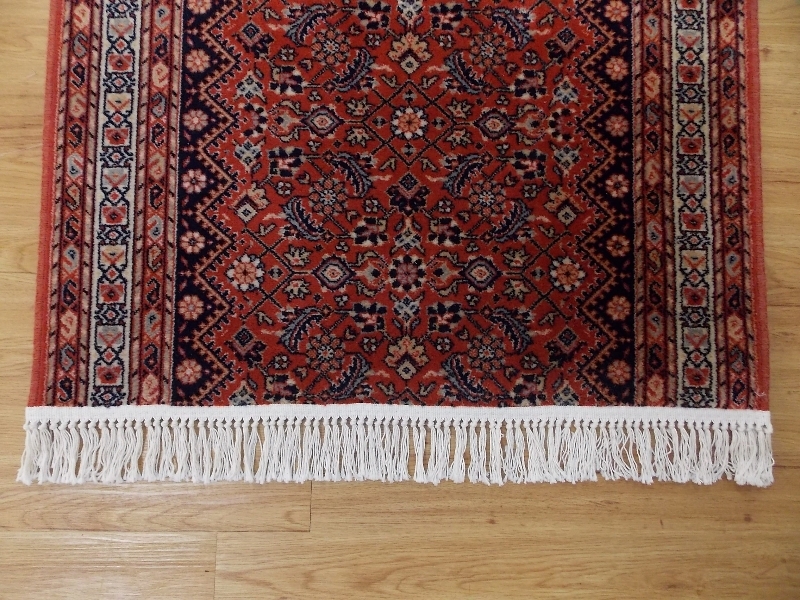 We can perform all types of specialty area rug repairs, however we need to inspect your rug to advise you and we will gladly give you a quote for the professional rug repair and restoration work to be performed. If your hot water heater floods your home or any other water event soaks your floors, a wet, soaked rug can easily be picked up by our Pick up and Delivery Service and returned to you restored. 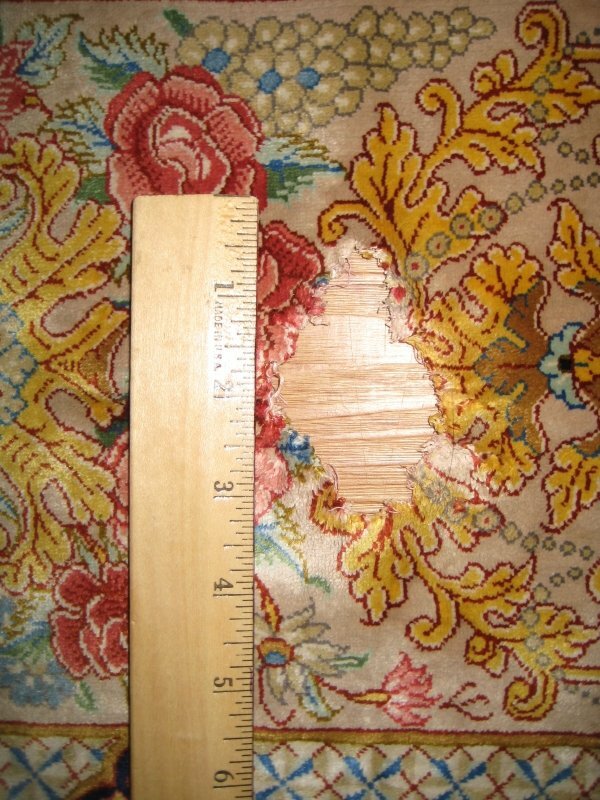 Just give us a call at 757-333-1010 and we will take care of the rest! We proudly serve all of the Hampton Roads area; Virginia Beach, Norfolk, Portsmouth, Chesapeake, Suffolk, Hampton, Newport News, Williamsburg. We also pick-up and deliver to parts of the Eastern Shore and Northeast North Carolina. Call 757-333-1010 for more information or to schedule an appointment for a pick up. 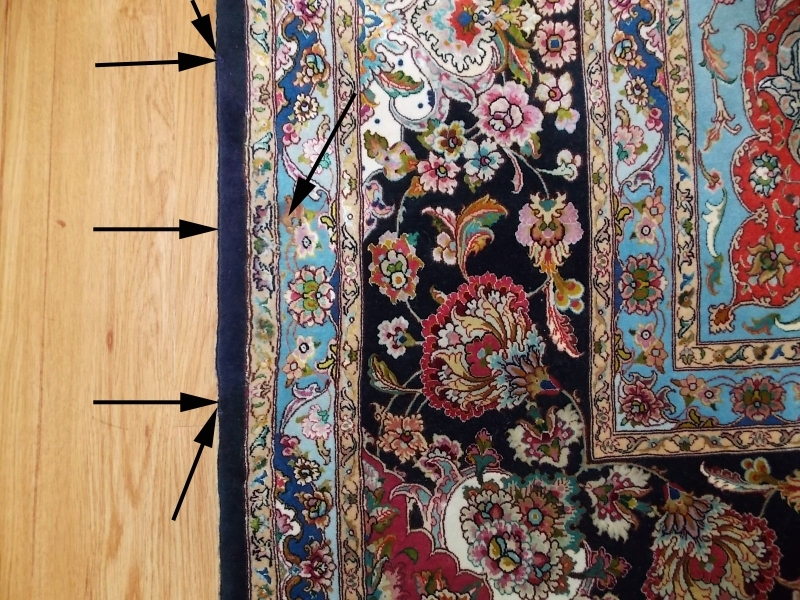 Print your Rug Cleaning or Repair Coupon! 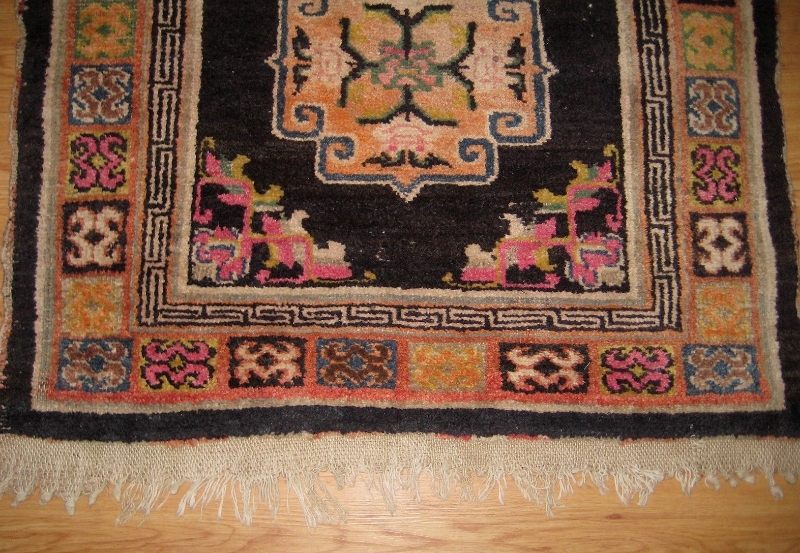 To schedule a pickup of your rug for repairs and cleaning, please call 757-333-1010.